We are dedicated to helping our community by providing research quality preventive health and sports performance testing at an affordable price. In many cases, whether a person is new to exercise and preventive health or a world class athlete, we provide the same high quality testing that Olympic athletes get around the world. We believe that no matter who you are in your quest for better health or a new personal best, it is essential that testing is of the highest quality possible. Thus, Exercising Nutritionally, LLC only uses the most state-of-the-art testing systems and all tests are run by individuals with advanced degrees in exercise science, nutritionally sciences, and clinical exercise physiology. All personnel assisting you at Exercising Nutritionally, LLC are active members in the American College of Sports, The North American Society for The Study of Obesity, The National Strength and Conditioning Association, and SEACSM and Midwest ACSM. 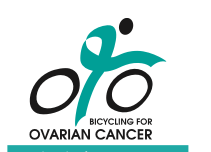 In addition to providing quality testing services for our community, Dr. Craig Broeder takes his passion as an ultra-endurance cyclist to raise moneys for the "Kay and Craig Broeder Preventive Female Cancer Health" Fund managed by the American College of Sport's Medicine. Dr. Broeder's wife is a 24 year survivor of clear cell ovarian cancer. During her 20th survival year, in partnership the American College of Sports Medicine, The Exercise Is Medicine Campaign, the Toyota Motors Corporation, Lance Armstrong's Mellow Johnny's Bike Shop, and other sponsors, Dr. Broeder cycle 9,190 miles around the perimeter US states in 91.5 days to start the foundation. The event was tracked and featured on NBC news, Fox news, Good Morning America, and the Bonnie Hunt show. In fact, in 2009, Twitter was just making its way into our lives. As a result of Twitter posts and live radio interviews along the road, hundreds of cancer survivors, friends, and families lent a helping hand along the way. The goal of the cancer fund is to provide research grant support for graduate students interested in studying the preventive and survival effects of diet and exercise on female cancers. Dr. Broeder is currently planning with sponsors and training to ride the perimeter of both islands of New Zealand for he and his wife's cancer fund while celebrating his 60th birthday (2014). If you would like donate to the cause you can by going to the ACSM foundation web site donation page link shown above.